A wise man will be the master of his mind. A fool will be its slave. A business partner handed me a book and said, “If you want to succeed, read this book.” Thankfully, I had the sense to listen and started reading! It’s view changer! 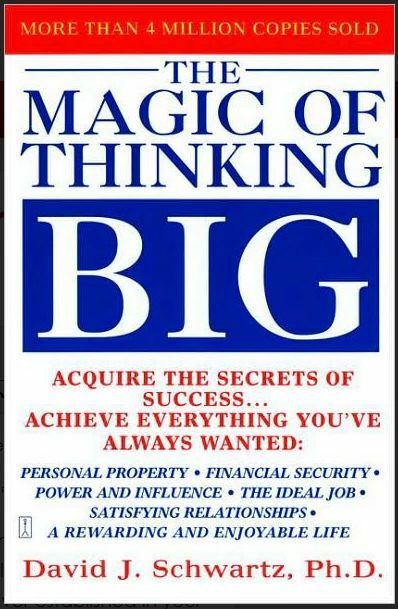 The book is “The Magic of Thinking Big” by David J. Schwartz, Ph.D. and the book spoke as it was speaking to me of some of the “excusitis” I gave myself subconsciously of why I could not (or should not) start, continue, or even think to do what I truly want to do in my life. The most important key point I took out of the book is that action cures fear. The only way to get over our fear is to do it. Want this book and get motivated? Then share some of the way you get motivated now in the comments section below. Also, visit the Around The Hemline Facebook page and “LIKE” it if you do! I’m looking forward to seeing your responses! Hi Mikki! I’m doing a giveaway! Share what you do now to try to stay motivated and you could win this book!